I'm John Thomas and my lovely wife is Becca Thomas. We are a diverse household of 7 dwarfs! My daughters are 16, 7, and 2. My sons are 15 and 9. Our family includes Black, Korean, and White ancestry. 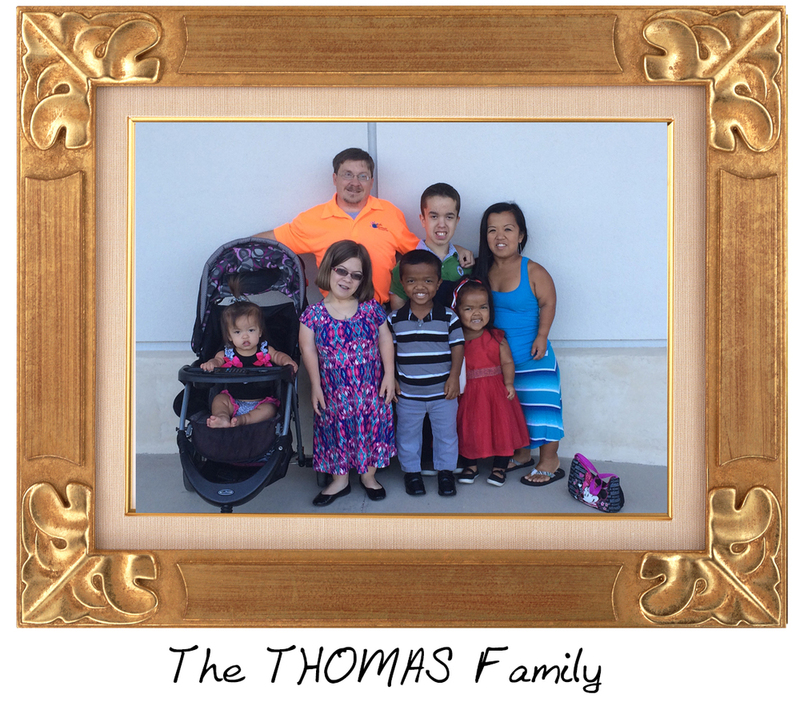 My family also includes diagnosis of Achondroplasia and SED. We have ADD and autism in our family. We are Texans and proud of that fact. I have a degree in Marketing and have worked in sales management and have been a motivational speaker. I'm currently working with the State of Texas as a TCDD and CTD board member. My wife has her hands full with 5 children, but she also stays busy with volunteer work. She and I have a family foundation to help medically fragile children, named after my son who passed away in 2007 - The Joseph Thomas Foundation. I was the first dwarf in my family history, but my wife was adopted in a home where her mother, father, sister and brother were all little people. Our children are just like yours - they sing in choir, go to camp, take Tae-Kwon-Do and dance lessons. Our children love art, ride their bikes, and attend church. They do their chores, go to birthday parties, spend the night with friends and family. My 16-year-old now drives and dates. We have made changes in our home and in our cars to accommodate our size, but all-in-all - we're just like you, just a little shorter.